Happy New Year, Scorpio. 2012 should be a year of expansion and growth and will feature some endings and beginnings that you didn't see coming. It's important that you learn to accept things as they are and avoid resistance when you are presented with any sudden changes this year. 2012 begins with Jupiter (Luck and expansion) in your 7th House of marriage, serious contracts, personal and professional and seriously committed relationships. Remember, though, that the 7th House is also where divorce and separation occur and open enemies come out and let you know exactly how they feel. Scorpio needs to focus on perseverance, laying groundwork for their personal and professional endeavors and ultimately on just plain hard work, like it or not. 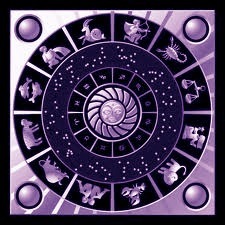 2012 begins with your ruling planet Pluto in Capricorn where it has been since 2008. Capricorn is in your 3rd House and it rules communications, short trips, relatives and siblings. You should have an idea by now how this planet works, especially as it relates to these areas. Perhaps you have grown closer to a family member or have had issues with siblings or other relatives. Pluto is a big influence in your life, Scorpio. It helps you figure out who you are and what you hope to become. You should be dealing with siblings and older relatives during this transit. Make sure to show appreciation to those who have assisted you during this time and in the past. Neptune will enter your 5th House on 2/3 and stays there until 2/26. This transit is at a compatible angle in your chart, Scorpio. Your love life will undergo major changes during this transit. This planet is the ruler of Pisces and brings idealism and enlightenment to your love life. You will also have more involvement with children and your creative side emerges and you see a side of yourself you may not have been previously. Uranus entered your 6th House of work, health and wellness in March of 2011. Unexpected things occur, surprises come at you and you might find everything mind boggling. Neptune and Uranus are asking you to slow down, be meticulous and methodical in all issues concerning your health, personal wellness and how you earn your income. The flip side of this planet is that it brings the right people into your life at the right time. You might find yourself mixing and mingling with like minded groups, people and newcomers either in the workplace or your area of residence. This is a big year for single Scorpios looking for love. With Jupiter in your opposite sign, you could meet the love of your life, get married or at least seriously commit and settle down. This relationship may develop rather quickly. Coupled Scorpios could either be ending a relationship or making a greater commitment to his or her existing relationship. The signs of Leo and Aquarius will be involved in both beginnings and endings for Scorpio in 2012.